Help us welcome the Perdido Queen Dinner Cruise to Mobile AL. This is the only dinner cruise in Mobile, AL with an entertainingly unique way to enjoy our beautiful scenic waterway, Ideal for anniversaries and special occasions or just a night out with the family or that special person. 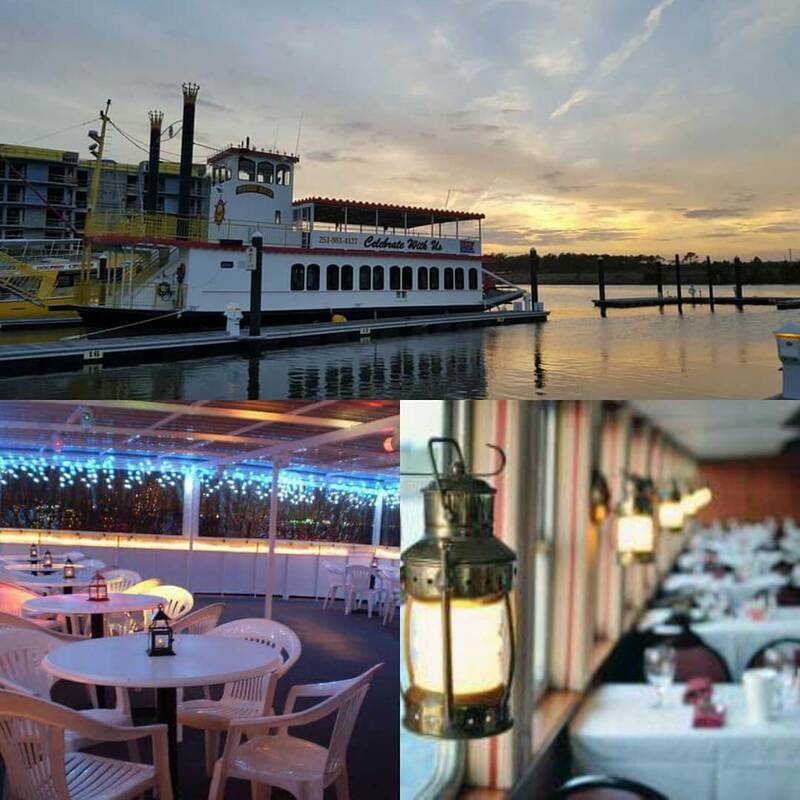 Enjoy a dinner on the water while cruising along the coast of Mobile, AL. Dinner is served as a two-entree self-serve buffet with plenty of sides and salad to select from for your meal. During your tour, the vessel is heated or cooled for your comfort. Recommended dress is "business-casual" for your special evening. Mobile dinner cruises feature live entertainment, providing space for dancing and dining. Cruises operate rain or shine. Reservations are required and suggested to be made early to guarantee seating for the date you wish to attend. Cruise around Mobile at sunset and enjoy a buffet-styled gourmet dinner with the best view in town, on the water, not beside it! We have a full bar to get your evening started when you arrive. Boarding begins at 4:30 pm. Join us for this fun trip aboard the The Perdido Queen. two entrees, three sides, green salad and dessert with tea and water. We will have live music, ​​dancing and a cash bar available!! Start with our Baby Greens Salad with Candied Nuts, Dried Fruit and Vinegarette Dressing served with warm Yeast Rolls. Entrée choices this evening are Smoked Bacon Wrapped Chicken and Pecan Crusted Pork. Tasty sides are Garlic Mashed Potatoes, Fresh Seasoned Breen Beans and Grilled Zuccini. Finish it off with Homemade Bread Pudding. Dinner is served with Sweet tea and water. Enjoy live music upstairs on the open air deck before and after dinner “dancing optional” ;). We take special requests for music all night long!! Don’t forget we have a full bar available inside the beautiful Perdido Queen. This cruise is a great choice for families, couples, and large parties. Remember, No waiting in a hot parking lot for dinner… Your already there when you arrive. Prices listed to not include a 10% sales tax and 15% gratuity that will be added to your final payment when you confirm your reservation. A cash or host bar will be provided. There are no refunds, and a change of date will be permitted only if you notify Hudson Marina prior to noon the day before the cruise date. Large groups must notify the Marina at least 2 days in advance for any date changes. Boarding begins at 5:30. The boat will depart from the dock at 6:00 PM, returning at 8:00 PM. Upon boarding, feel free to purchase a drink from the bar while you explore the vessel and mingle with others. As the cruise begins, you are welcome to find your assigned table and fix a plate for a delicious dinner. Water and tea will only be served with dinner. Live music will be playing, and dancing is highly encouraged upon completion of dinner. Feel free to venture to the upper deck and enjoy the beautiful scenery and wildlife prior to the sunset. Prices do not include gratuity for the staff onboard. Recommended 15% for cash bar. For a more intimate event, the Perdido Queen is available for a wide variety of occasions. 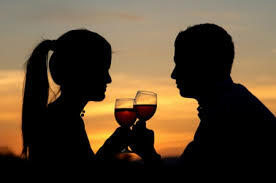 Weddings, rehearsal dinners, and receptions enjoyed in the coastal bays of and Perdido Key Florida. Rent the boat privately for corporate and award dinners. It is ideal for social functions for schools, churches, holiday parites, anniversaries, birthdays and graduations! The list is limited only to your imagination. Let Hudson Marina help plan an event to suit your needs.